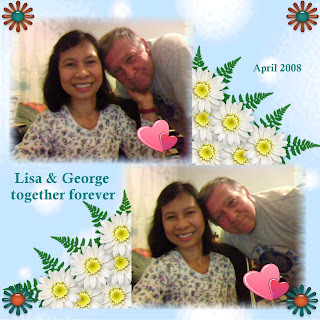 Last night my hubby and I were in front of my laptop and I took some photos in the webcam. 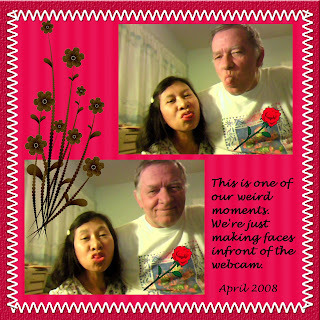 We've been having some fun taking photos together and we made some faces while posing. It's one of those weird moments and I wanted to share here those funny photos that we took. Pasensiya na, walang magawa si lola.